My wife and I recently returned from a trip to visit the Canadian Rockies. While I edit photos and write up some Travel Tales, I thought I’d share a few early photos. 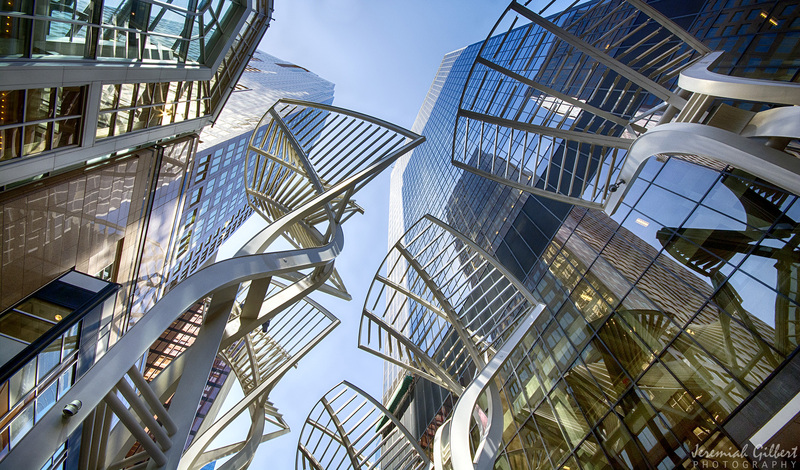 Calgary was our entry point and one thing I wanted to see in town were the steel “Trees” found on Stephen Avenue, originally designed to reduce wind gusts between the buildings.